Note: This information is intended for a network administrator. 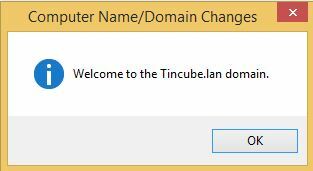 If you are not your network’s administrator, notify the administrator that you received this information, which has been recorded in the file C:\Windows\debug\dcdiag.txt. For information about correcting this problem, click Help. 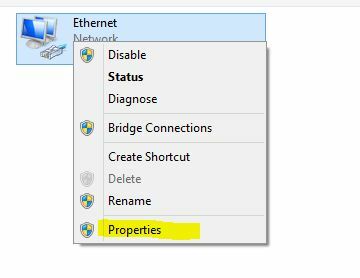 The problem is that your computer in this case is getting the DHCP from you ISP router and this include the DNS IP adress from them as well. 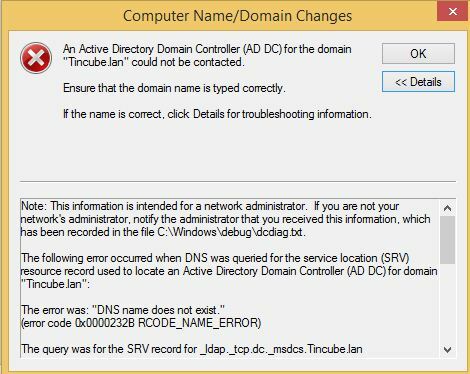 This can be solved by adding the DNS domain IP to the computer. I’m using a windows 8 computer but the steps should be the same on a windows 7 computer. 5. Add the DNS Ip adress here. Also add your ISP DNS adresses here. If you still can not join the domain then try the following. 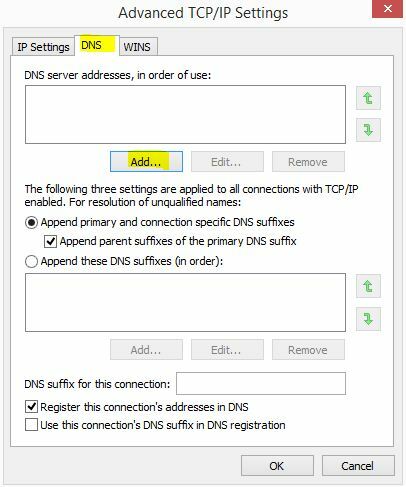 If your ISP DSN servers are set to your Domain controller/DNS server then there is no need to put in your ISP DNS IP. Your DNS server should forward the request. I have tested it in my testlab and it works for me. 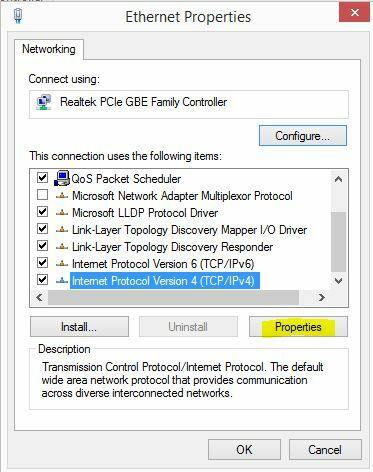 Uncheck IPV6 in TCPIP properties of NIC solved my problem.